Born in Thunder Bay, Canada and raised on the Isle of Man, Rupert is lucky to have lived an international life. His unashamed enthusiasm for the world began at a young age, while his desire to understand and translate the world into film has taken him in all kinds of different directions. Upon leaving school, he taught English as a Foreign Language in France, well equipping him with the ability to communicate with all kinds of people. He then studied English Literature in both London and at the University of California, Berkeley, filming whenever and however he could between voracious reading, hosting a radio show, and editing his own arts magazine. He’s since gone on to both chase through Cambodian jungle in search of homemade rocket gambling and infiltrate the crumbling sanctum of Sunderland AFC for Netflix. He has produced and directed commercials and content for a multimillion dollar start up in Silicon Valley, worked his way into the secretive Amish communities of Pennsylvania, and made documentaries for the BBC on everything from Frankenstein to the birth of the SAS, all while attempting to run his own production company, Handsome Beast. He self-shoots, produces, directs and edits. 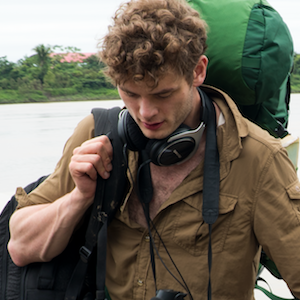 His latest cinematic release films have just begun their international festival run: In The Fall, an adaptation of renowned Canadian author Alistair MacLeod’s short story of the same name, and Jacob’s Ladder, which he directed under the guidance of Werner Herzog in the Peruvian Amazon jungle. Rupert also produced the upcoming Netflix series Sunderland Till I Die, available to stream from December 2018.